Found the perfect Promotional Product for your next campaign? Great! Now the ordering process is just as simple! 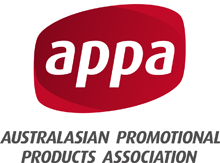 Ordering Promotional Merchandise with Vivid Promotional Products Australia is made quick and easy by having your ordering information and delivery details ready. To place your Promotional Product order, please send a purchase order or email through to Vivid Promotions friendly sales team and we will promptly respond and get your order underway, it's that easy! Get a quote on the Promotional product/s of choice to view pricing, images and custom printing options. To request a Promotional product quote, simply click on the Promotional product/s and below the description of the Promotional product is an 'add to quote' button. Clicking 'add to quote' will add the Promotional product to your quote list and allows you to insert a custom printing preference and the date that you require the Promotional products by, Remember to click 'update' when you have entered your custom printing preference and required date. If you are unsure of the custom branding option, feel free to leave it blank. You can add as many Promotional products to your quote list as you like by clicking on the 'continue browsing' button. Once you have finished adding promotional products to your quote list, simply click on the 'submit quote request' button, this then directs you to our log in page where you can either sign in or sign up if you're a new customer. Please enter in all of your details correctly as this information is used to confirm freight charges, lead times and will contain your delivery address. Please enter in your physical address as your Promotional product order will be shipped by a courier who will not deliver to a PO Box address. Once your Promotional products quote request have been submitted, your details have been filled out and you have been signed up, one of our friendly customer service team members will send you through your Promotional product quote. If you have any difficulties or general enquiries, please contact out customer service team on 1300 72 70 92. When you have found the perfect promotional product for your next advertising campaign, please send a detailed email with the Promotional product of choice, unit quantity, custom branding options and a required date- or simply give us a call to place your Promotional product order. When your Promotional product order has been placed, our sales team will then provide you with a preview of what your finished Promotional product will look like. Once you have confirmed that all Promotional product details and artwork details are correct and would like to proceed, your Promotional product order will then be sent to production. Your Promotional product order can be fully processed on the same day. Providing that you respond promptly to emails, faxes and any information that your customer service representative requests, your entire Promotional product ordering process can take less than an hour! To avoid disappointment and to ensure delivery deadlines are met, please check stock levels prior to ordering, as stock levels can vary from day to day. For urgent Promotional product orders, take a look at our rush order range- have a last minute Promotional product rush order that needs to be delivered within 72 hours? Vivid Promotions has a range of low cost rush order promotional merchandise items to choose from. Contact your sales consultant for the most convenient method of payment. Vivid Promotions takes Credit Card payments- MasterCard and Visa only or simply pay with EFT and email through remittance advice for a fast and instant transaction. Sit back and relax whilst Vivid Promotions takes care of your promotional products order! To get a quote on some more fantastic promotional merchandise items visit our Quote Submission Page now!